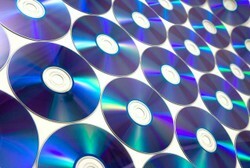 Lightscribe is a way to print labels and images directly onto CDs, DVDs and now Blu-ray. Easily create your own professional looking discs, at home with no mess. Lightscribe is a system developed by HP which uses a special drive to burn the label onto the disc. It can take images, photographs and more and works with most cover designing software. It is also no mess - all you need is the disc, the drive and the software, and that's it. Put the disc in, label side down. No consumables, no ink, no mess. It is a very green solution, since it doesn't require any extra inputs. The Lightscribe discs can be recognised before they are burned by the plain upper surface, usually in gold. Once burned a grey scale image will be visible on them. Lightscribe can take almost any image, and works with a range of free software including Nero Cover Designer, so it is easy to use to create notable or memorable images. Lightscribe alows you to easily create good looking and professional discs. It used to be that you have one option for labelling homemade CDs, a CD marker. This can be messy, get on fingers and worse if you spill your drink it can rub off the disc.It also doesn;t look good for family memories, weddings, first school play etc. Homemade labelling kits produce a better result, but are a lot of effort, require you to press down very levelly if you don't have an applicator, and if they come loose or get wet the disc can be ruined. Printable CDs that can take a colour image directly are a new solution but expensive, and the printers to create them are not cheap. The other problem is that all of these options require ink. With Lightscribe the disc already has the printable layer inside it. Labels can be created in a range of software. While Lightscribe offers their own free basic labeller, other software can also be used. I use the free version of Nero Cover Designer, which supports Lightscribe. 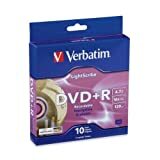 You don't have to do anything extra - just create your disc label (or import a photograph), and then on the print options choose "Create Lightscribe". The Lightscribe control panel software, which is free to download and use, also has settings for the quality of the print so as with a normal printer you can select how dark you want it, and a better quality burn will take more time. To get the best effect, make sure the disc's label surface is clean, dry, and free of fingerprints or markers before putting it in the drive. If the dirt intercepts the laser as it burns the label, the finished product will not look good. 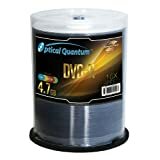 Get the benefit of recording and printing on the disc directly through a LightScribe enabled burner or with These Quantum OQDMR16CRLS DVD-R discs. Lightscribe discs usually have a gold background on the label side. However if you want a special look, e.g. red for Valentines Day, or Green for May Day, there are now Lightscribe colour discs. These have a range of different background colors on their label side, so while the label will still be greyscale, the disc has a very distinct look. All Lightscribe capable drives will have the Lightscribe logo on them somewhere. It is usually on the front of the drive or the drive tray. This makes it very easy to identify them. 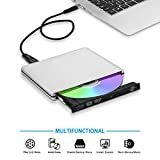 When not being used to burn labels, the drive functions like an normal drive of that type, and can be used for anything you would use a normal drive for. Available in external or internal versions, the label burn is often slower than the data burn, so if you have a lot of discs to do an external drive may be a good buy. They are also usually cheaper than the internal option. USB ones can also run from laptops, although some drives may require extra power and can drain the laptop's battery quickly. Many computers now come with Lightscribe drives by default. However, if yours doesn't or you need to upgrade, you can get an external Lightscribe drive without breaking the bank. An external drive also has the advantage it can be easily switched from computer to computer, and does not usually require additional drivers. 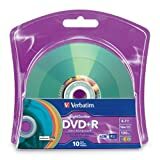 It can also be useful if you want to burn data on your computer's internal drive while labelling on a second - this approach really reduces the time to patch produce DVDs. They are available in external SATA or USB connections, as well as a range of speeds. This is the more expensive option, which is to replace your existing drive. Internal Lightscribe drives are now available as blu-ray combo drives, sometimes with extras such as secure-ROM. I don't use an internal drive so I can't comment, but if you are into gadgets and upgrades this is one you should investigate. However, internal combo drives cost at least twice the price of an external add-on DVD drive, so it is not cheap. The official Lightscribe site with free software downloads, advice and templates to use with your drive. 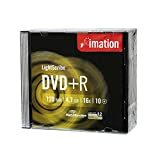 A guide to Lightscribe compatible discs, from CD to Blu-ray, and help selecting which one is best for your project. A guide to drives capable of producing Lightscribe labels, from entry-level to complex Blu-ray combo drives, and help selecting which one would work for you. I was wondering what Lightscribe was and how those labels were made. Thanks for this!